Nobody panic but Daydream Island Resort is now officially open and began welcoming guests yesterday! 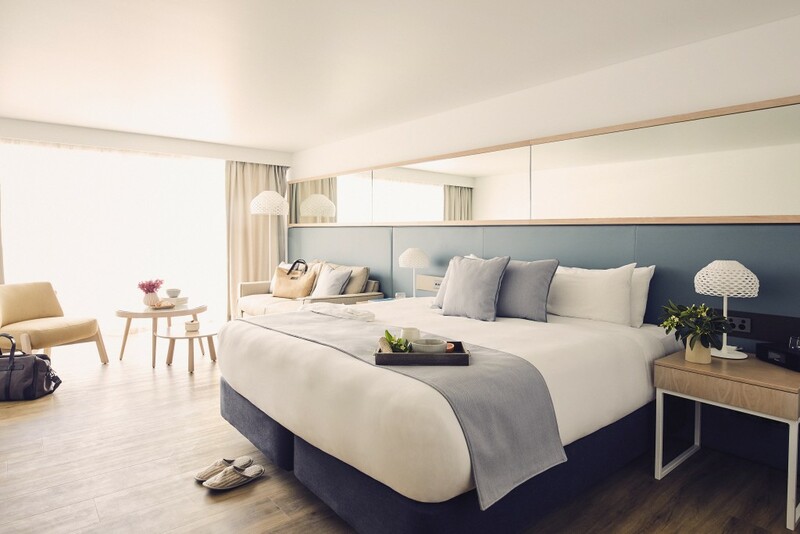 The new look, premium resort is located in the heart of the Whitsundays and features new dining concepts, relaxed bars and waterfront suites in addition to its iconic Living Reef underwater observatory. “We wanted the new Daydream Island Resort to reflect the beauty of its surroundings through the architecture, design and dining direction,” Dawson Tang, the resort’s general manager said. The resort features 277 contemporary suites and rooms and three signature restaurants and bars led by executive chef Keith Le Fevre who promises to hero local produce. The revamp includes a revitalised pool landscape winding through tropical gardens across the resort with a new poolside bar in the swimming hub. The Living Reef has also made a comeback, cementing the resort’s eco-friendly and education focus. The free form coral lagoon will wrap 200m around the central building and hold over 1.5 million litres of water. Here, guests can join the resorts resident marine biologists in feeding baby sting rays or check out the new underwater observatory4 metres below the water’s surface to watch the marine life in action. Kids will have the chance to become eco-warriors at Kids Club as they explore and learn about the Living Reef while playing and feeding the animals who call it home, amongst a range of other activities around the island. Got a client with a big function or event coming up? Or perhaps your boss is looking for the company’s next conference destination and you’ve been dreaming of island life?